Astana’s Estonian rider Tanel Kangert claimed overall victory at the Abu Dhabi Tour on Sunday following the fourth and final stage that was won by Britain’s Mark Cavendish. The 143 kilometre finale comprised of 26 laps around the Grand Prix track of Yas Marina. A group of five riders animated the day’s action with a break that lasted for much of the race. But on the smooth motor-racing surface the peloton were able to pick up the pace and reel them in before the end. Whilst Kangert enjoyed an easy enough day in the saddle to maintain his 21-second lead over Nicolas Roche in the overall classification the sprint for top honours at the front of the bunch was well and truly on. 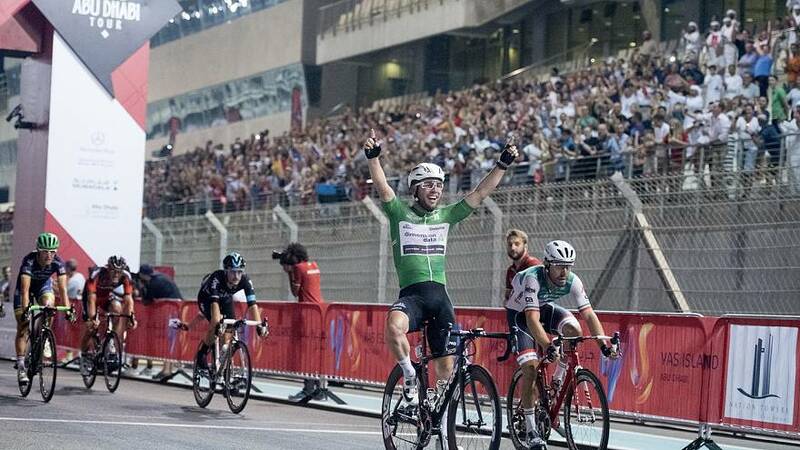 Australian Mark Renshaw went first but Cavendish had more power in the peddles and stormed to victory ahead of Italian pair Giacomo Nizzolo and Elia Viviani.